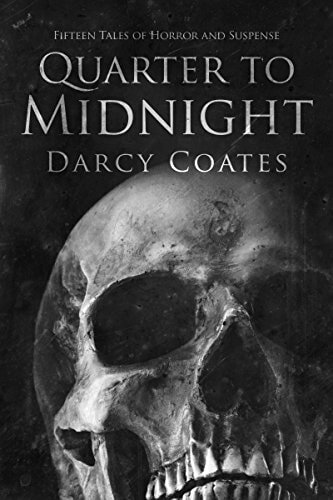 Darcy is the USA Today Bestselling author of Hunted, The Haunting of Ashburn House, Craven Manor, and more than a dozen horror and suspense titles. She lives on the Central Coast of Australia with her family, cats, and a garden full of herbs and vegetables. Sophie’s world is shattered when disaster bankrupts her family. She’s still reeling from the news when she’s offered an unexpected solution: Mr Argenton, a wealthy stranger, asks for her hand in marriage. 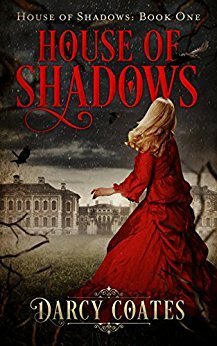 Marrying Mr Argenton will restore her family’s fortunes and save them from scandal, but condemns Sophie to a life in Northwood, a vast and unnaturally dark mansion situated hours from civilisation. Sophie struggles to adjust to her new position as mistress over the desolate house. Mr Argenton’s relatives are cold, and Mr Argenton himself is keeping secrets. Even worse, the house is more than it seems. The piano plays in the middle of the night. Blood drips from the ceiling. Sophie is pulled towards the terrifying truth: Northwood’s ancient halls are haunted. The malevolent spirits—produced by grisly deaths—resent her intrusion into their home. Sophie and Joseph’s escape from Northwood is short-lived. The beast survived, and attached itself to Joseph’s young cousin, Elise. Garrett writes to beg for their help. Joseph and Sophie travel to meet him at Kensington, a long-abandoned mansion that overlooks a dead town. The house offers a small hope: its original owner had dedicated her life to researching the monster that possesses Elise. Garrett hopes to find a way to kill the creature without harming his daughter. But Kensington is a dangerous building. Once the carriage leaves, they’re trapped inside the collapsing walls and forced to confront the horrors within. Shrouded figures stalk them. Whispers echo through the night. ​Unmarked graves dot the property. Alarm bells start ringing when he arrives at Craven Manor. The mansion’s front door hangs open, and leaves and cobwebs coat the marble foyer. It’s clear no one has lived there in a long time. But an envelope waits for him inside the doorway. It contains money, and promises more. Sam is excited to spend a week at her uncle's remote lake cabin. It's a chance for her to focus on her art without distractions: no neighbours, no phone, and a small radio as her only contact with the outside world. But there's something deeply unnatural lingering in the lake. When Jenine finds an abandoned camera in a lighthouse, she takes a photo for fun. But there's something very, very wrong with the picture: it contains ghosts. Jenine and her best friend, Bree, realise the camera is capable of capturing the dead. But with each new photo taken, the spectres become more aware and more alert, and begin following the friends. Desperate, Jenine seeks the help of a paranormal researcher. 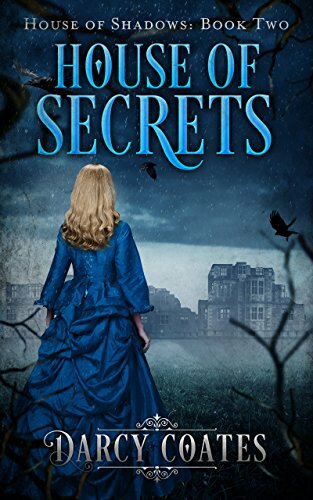 He only has bad news, though: they've meddled with something far beyond their control, and the ghosts won't stop... not until Jenine and Bree are dead. Her disappearance wasn't an accident. Her rescue will be a mistake. Chris wants to believe his sister is still alive. When the police search is abandoned, he and four of his friends create their own search party to scour the mountain range. As they stray further from the hiking trails and the unsettling discoveries mount, they begin to believe they’re not alone in the forest… and that Eileen’s disappearance wasn’t an accident. A guard discovers an unusual lifeform on her remote moon outpost. She disregards protocol to investigate it, with catastrophic consequences. The parasitic alien wears its victims' skins and adopts their personalities. It's a perfect disguise, and allows the creature to spread without being detected. By the time humanity realises it's facing extinction, a third of its six hundred space stations have already gone dark. As the alien's ruthless progress collapses communication networks, wipes out defences, and leaves hundreds of stations to fend for themselves, a handful of remarkable individuals must find a way to battle the greatest threat the universe has ever encountered. Something mimics human voices as it lures you into the woods. One of the morgue's corpses is missing. Your friend wants to meet late at night, but they're not acting like themselves. Immerse yourself in the macabre, the gothic, and the chilling with this collection of fifty short stories. You discover a door behind your bedroom’s wallpaper. It's probably just a small crawlspace. There's nothing unusual about it... except for the quiet tapping noise you hear late at night. A young child went missing while exploring a disused cemetery in 1965. More than fifty years later you face the gate to the abandoned graveyard, armed with a clue that could lead to answers about the boy's fate. But strange things keep happening. Figures watch them through the fog. Objects move on their own. Tara begins to believe the unbelievable... that the house could be haunted. When a storm cuts the phone line, May shifts from doting to obsessive. Tara and Kyle try to keep up the pretext of a happy family, but a forgotten journal and a locked room provide clues to the desperate lies and secrets entwined with the Folcrofts' legacy. ​When Adrienne arrives on the gothic house’s doorstep, all she has is a suitcase, twenty dollars, and her pet cat. She doesn't know why her estranged Aunt Edith bequeathed Ashburn to her, but it's a lifeline she can't afford to refuse. Adrienne doesn't believe in ghosts, but it’s hard to rationalize what she sees. Strange messages have been etched into the wallpaper. Furniture moves when she leaves the room. And a grave hidden in the forest hints at a terrible, unforgivable secret. Could you spend a week in a haunted house? Mara is the daughter of spiritualists. Her childhood was filled with séances, scam mediums, and talk of ghostly presences. When Mara left her family’s home, she vowed she would never allow superstition into her life again. She’s ready to start over with her fiancé, Neil, in a world based on rationality and facts. But Blackwood was dirt-cheap. Mara loves her new home, and she disregards the warnings. Elle is thrilled to spend a month minding the beautiful Gillespie property. More than an hour's drive from town and surrounded by forests, the aging mansion is ideal for someone seeking solitude. As Elle explores deeper into the house, she begins to unravel the property's dark history. At its centre is Jonathan Gillespie, a tyrannical cult leader and the house's original owner. When Guy finds the deeds to a house in his mother’s attic, it seems like an incredible stroke of luck. Sure, the building hasn’t been inhabited in forty years and vines strangle the age-stained walls, but Guy is convinced he can clean it up and sell it. He’d be crazy to turn down free money. Right? The house is hours from any other habitation, and Guy can't get phone reception in the old building. He decides to camp there while he does repairs. Surely nothing too bad can happen in the space of a week. A deranged woman tormented a family in Rookward forty years before. Now her ghost clings to the building like rot. She’s bitter, obsessive, and jealous… and once Guy has moved into her house, she has no intention of ever letting him leave.